Welcome your guests and your family home each night while adding elegance, value and safety with quality Outdoor Lighting in San Luis Obispo from Dan’s Landscaping Company. Outdoor lighting accentuates your landscape or walkway, enhances your curb appeal and secures your home while making your guests feeling welcomed. Maximize your home’s exterior with lively outdoor lighting. Outdoor Lighting in San Luis Obispo extends the time you can enjoy your outdoor space while adding to your home’s beauty. 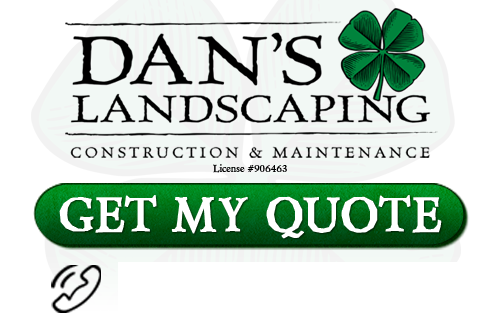 Dan’s Landscaping Company understands the relationship between light and shadow that that lights create. We know how to manipulate lighting in order to highlight certain plants or features of your home or office and landscape. Our lighting designs incorporate security and function with the aesthetic features in order to create truly spectacular original products. Walkway lighting safely illuminates paths while highlighting plants along the way. Spread lighting is perfect for illuminating low shrubs or ground cover. Security lighting deters trespassers with strategically installed flood or spot lights around your property. Silhouette lighting is often used for accenting walls, sculptures or landscaping, and is usually concealed behind the item being silhouetted. All homes are different. So are all homeowners. So it’s time to get creative with your lighting. Observe all the areas where cool lighting could enhance your landscape such as the yard or home entranceway, pathways and sidewalks, featured garden areas, and social areas like patios and fire pits. The possibilities are endless! We only use high quality connections and transformers that have a lifetime warranty so that you have peace of mind. 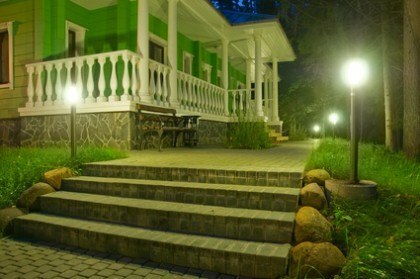 Your landscape lighting will reliably add beauty and function to your home for the long term. And, low voltage Outdoor Lighting in San Luis Obispo is energy-efficient and thus, will have very little impact on your utility costs. Our San Luis Obispo landscapers provides both superior customer service and industry standard landscaping products to each of our distinguished clients. We partner with home and business owners to design interesting yard concepts and then bring them to life before your eyes. We help you turn your drab yard into a small paradise! You’ll love the results. We guarantee it! If you are looking for professional Outdoor Lighting in San Luis Obispo then contact Dan’s Landscaping Company at 805-550-5488 or complete our online request form.